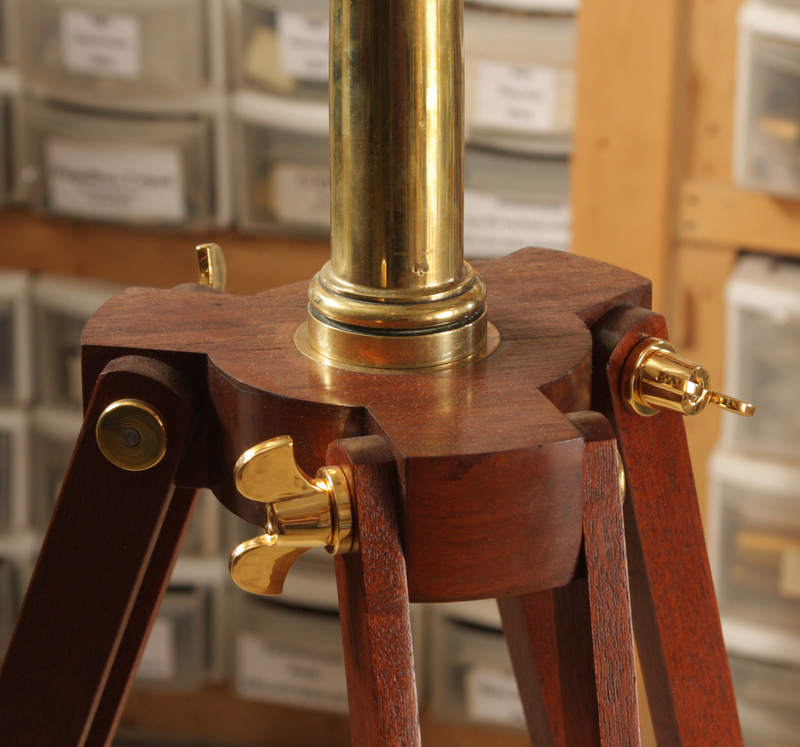 A French Floor Model (Bardou) Telescope with mahogany tripod, solid brass pillar mount and all brass construction, circa 1880. 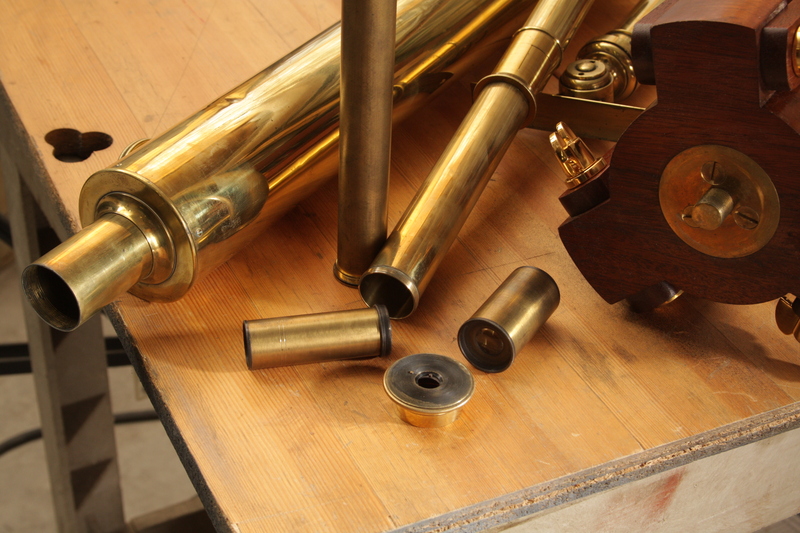 The telescope measures 53” at full draw and exhibits a height of 67” when the barrel is at the horizontal position. The optical system is of the five element design including the 3” objective. This is particularly nice for hardwood floors as the all brass self-leveling feet are felted for non-scratch use. The optics produce sharp images for terrestrial viewing or observing the moon and planets. 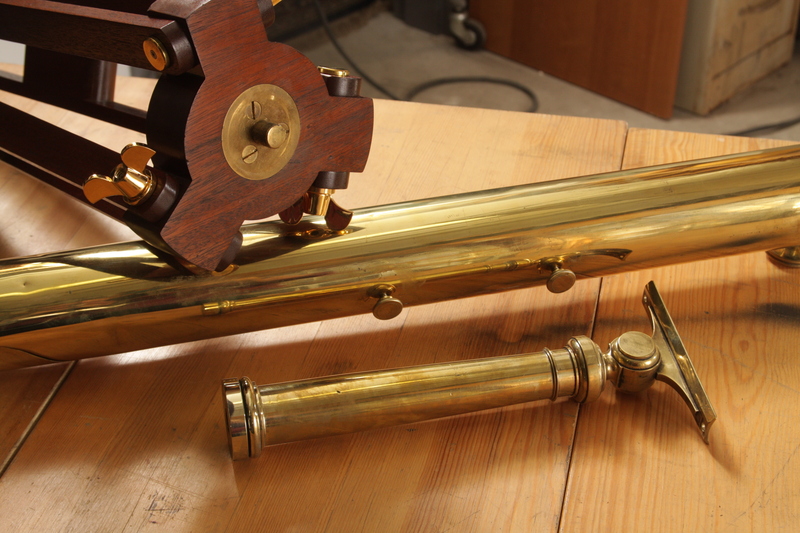 A fine antique French telescope in excellent working condition; you may not find another one in this condition and at this price: $2450.